For more than 50 years WTW has been one of the leading manufacturers world-wide of precision conductivity meters and cells. 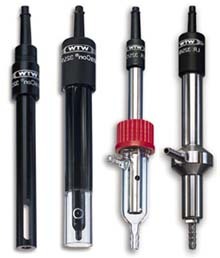 The TetraCon® 4-electrode system is the result of our comitment to quality and sets a new standard for professional conductivity measurements. In comparison with conventional measuring cells with 2 electrodes, the TetraCon® conductivity cell offers numerous technical advantages.